In The Gift of Love, bestselling author Amy Clipston inspires a generation with her true story of the fight against her husband's kidney disease. In a selfless act that eventually led to the Johns Hopkins paired donor program, Amy donated her kidney so that Joe would receive one from a matching donor. 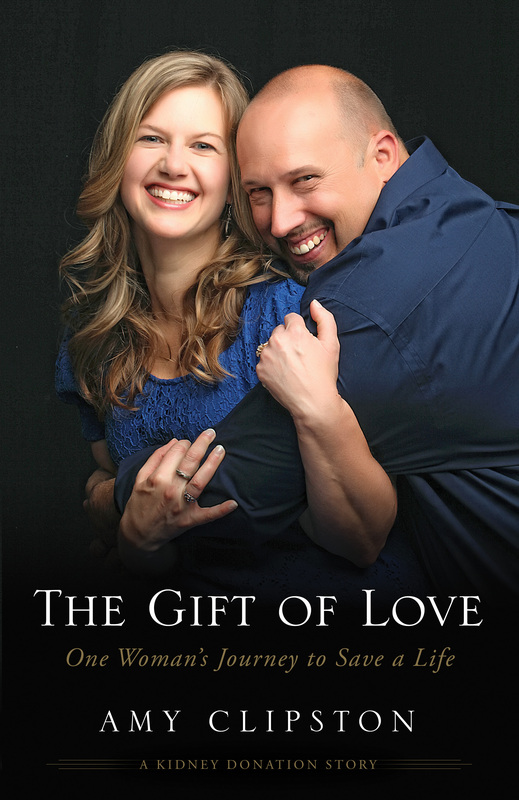 In The Gift of Love, bestselling author Amy Clipston shares her journey to becoming a kidney donor in the paired donor program through Johns Hopkins Hospital. The gift of life she was able to give to a woman suffering from kidney disease provided a kidney for Amy's husband, Joe, in return. Early on in her marriage Amy developed strength through hardship and tragedy. But when her husband developed kidney disease shortly before the birth of their first son, she couldn't imagine how hard it would be to watch the man she loved suffer from transplants, a rejected kidney, and interminable dialysis. With nearly 100,000 people needing kidney transplants, Joe was on a long list of recipients waiting for a match. In the meantime, he went through dialysis three times each week, leaving him weak and in fragile health. Amy's story will give hope and strength to anyone who finds themselves waiting on God. There were times when Amy hit rock bottom, wondering why Joe had to suffer and why she had to carry the load for the family. However, through faith, they made it through, stronger than they were when they began their journey. The Gift of Love is an encouraging story of strength in adversity, determination, and of one woman's faith in God. The Gift of Love has been named a Christianbook.com bestseller!